Editor's note: 15 days from now, over 2000 talent acquisition professionals will join us at Talent Connect Las Vegas, LinkedIn's global corporate customer conference. Register by 11.59pm PT today (Tuesday, Sept 25th) to qualify for special pricing. I'm a corporate recruiting leader (Amazon, Expedia) turned consultant. And I've been fortunate to partner with heads of recruitment from some amazing companies – from Nike to Hitachi, the World Bank to Electronic Arts, Edward Jones to Groupon. One of the things on many talent acquisition leaders' priority lists – and they are LONG lists – is work focused on helping their recruiters become more strategic and consultative. These aren't lofty "seat at the table" wishes…they are driven by real needs for their teams, who are often working too many open reqs or doing too much administrative or systems work, to get in the driver's seat …they want them to be more strategic. And the recruiters are on board; they want it, too. So the issue isn't convincing someone to be more strategic, it's trying to figure out how to do that in the real world of competing priorities, limited resources, and not enough hours in the day. Join two other corporate recruiting leaders and myself on Friday at Talent Connect as we share real-world best practices for transforming the role of a recruiter to that of a more strategic business partner. We'll hear from Andrew Carges (head of recruitment for Sungard Availability Systems) and Jennifer Remling (head of recruitment for AKQA) as they share how they moved their recruitment teams to be more consultative, proactive, and empowered to lead. We'll also talk through what it looks like to engage hiring managers in a way that sets us up for success, and moves us out of a more customer-service oriented role, including techniques for pushing-back on unrealistic or challenging hiring managers. John Vlastelica is a former recruiting director with Amazon and Expedia. 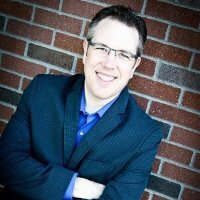 He's a regular author and speaker on all things recruitment, and – through his consulting and training firm, Recruiting Toolbox – works with companies to help them build and deploy the right recruiting strategies, processes, tools, systems, and training to their recruiters and hiring managers. He's also a judge for the ERE Recruiting Excellence Awards and the Candidate Experience Awards.